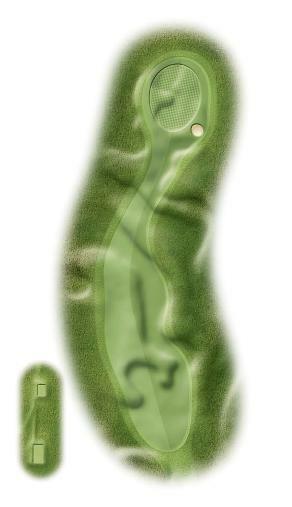 The sixteenth hole requires your best drive just as you are starting to feel a trifle weary. The out of bounds fence sits atop the raised beach remnants of the Jurassic age, when the glacier eventually slipped into the sea. The second shot to a green perched high on the top is a demanding one with a wicked defile left and a bunker hidden right.